a_coarseDomain is the domain at the coarsest level. 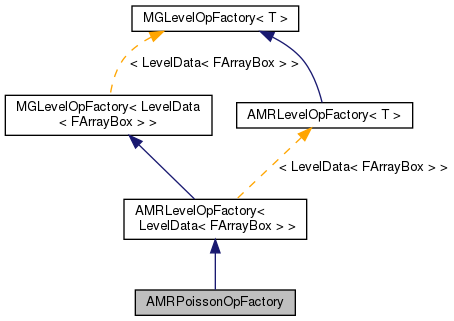 a_grids is the AMR hierarchy. a_refRatios are the refinement ratios between levels. The ratio lives with the coarser level so a_refRatios[ilev] is the ratio between ilev and ilev+1 a_coarseDx is the grid spacing at the coarsest level. a_bc holds the boundary conditions. a_alpha is the identity coefficient a_beta is the laplacian coefficient.